Pizza Pepperoni Spinning On Turntable Vinyl Player. Concept Of Party, Delicious Junk Food. Italian Pizza With Salami Sausage And Cheese. Foto Royalty Free, Gravuras, Imagens E Banco De Fotografias. Image 112150711. 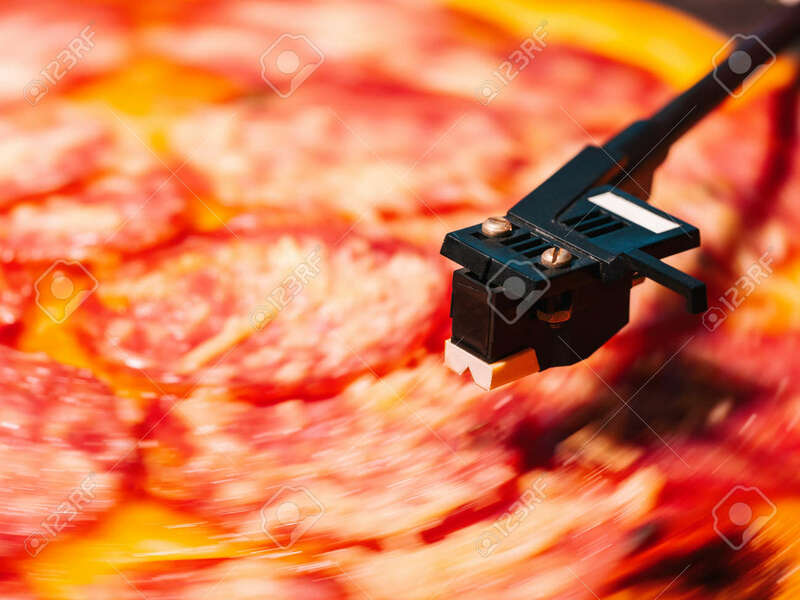 Banco de Imagens - Pizza pepperoni spinning on turntable vinyl player. Concept of party, delicious junk food. Italian pizza with salami sausage and cheese. Pizza pepperoni spinning on turntable vinyl player. Concept of party, delicious junk food. Italian pizza with salami sausage and cheese.